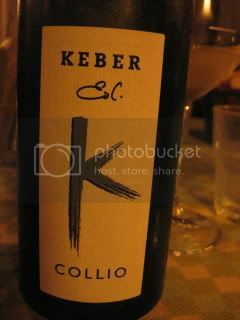 Our second night dinner at La Subida, a beautiful agritourismo in Cormons, Gorizia, was at their casual L’Osteria. This cottage restaurant has the nice country-style ambience. 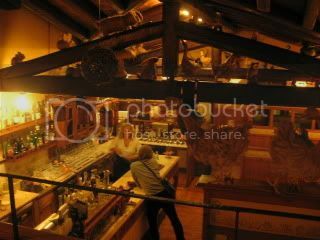 We had the upstairs’ room and enjoyed the local rustic cuisine. Fritto is a very local dish of potato and Montasio cheese pancake. The aroma of the cheese filled the entire room and it was so nice. 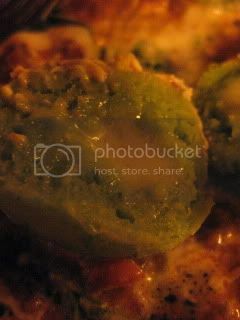 It must have been a very filling dish, but it tasted so fluffy and easy to eat (so it was dangerous!). The salad made a nice accompaniment, too. 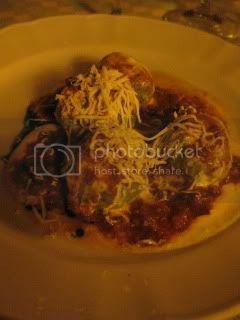 Spinach gnocchi, filled with mozzarella cheese, served with beef ragu. It was another fluffy delicious dish. 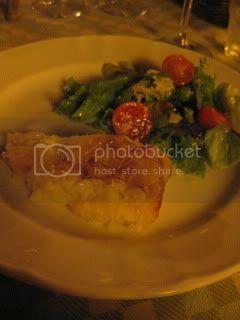 The main course was guanciale roast with chestnut and potato gratin. 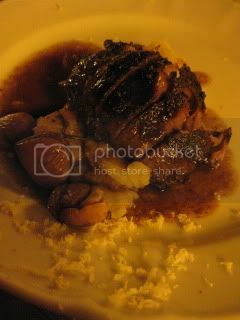 Guanciale (pig cheek) roast was seasoned with rosemary, etc., and roasted to fork tender. The meat was simply amazing, so it felt like I inhaled the entire dish in just a minute! 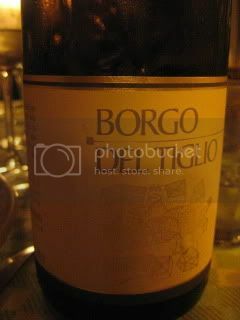 Wines were very good again. 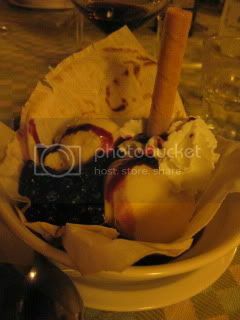 Dessert was a very simple Italian ice cream with blueberry compote in phyllo cup. 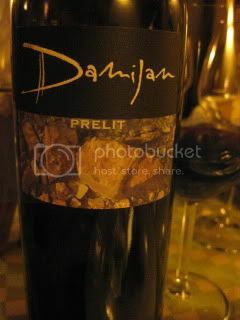 2007 Damijan Podversic, Rosso Prelit (Venezia Giulia)…Merlot and Cab. We tasted 2008 vintage at his winery on Sunday. I really enjoyed this very home-style rustic food from the region. Wine pairing was great, too.